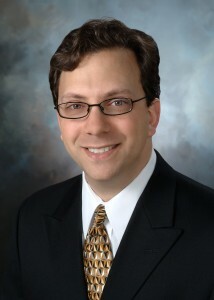 Dr. Eric Egozi is a leading, Board Certified, Tampa Plastic Surgeon. His years of exceptional education and practice at some of the finest universities in the nation, have helped him develop the skills to become a well-respected, in-demand, top plastic surgeon at a young age. Dr. Egozi has been practicing in the Tampa Bay area since joining Dr. Joseph Fishman in 2005. In 2008, Dr. Egozi became a solo practitioner and has been growing his practice in Aesthetic Surgery ever since. In 2014, Dr. Egozi built his state of the art Office and Surgery Center on Gulf to Bay Boulevard, in Clearwater, Florida where he performs all of his consultations, injections, laser treatments, and outpatient surgical procedures. Dr. Egozi has comprehensive expertise in the entire spectrum of aesthetic procedures (facial rejuvenation, body contouring & sculpting) from non-invasive to full surgical treatments including SculpSure, UltraSlim, Liposuction, Mommy Makeover, Ultrasonic & Tumescent Liposuction, Tummy Tuck, Thigh Lift, Face Lift, Brow Lift, Eyelid Surgery, Rhinoplasty (Nose Surgery) and others. In addition to being highly qualified and competent surgeon, Dr. Egozi is also an artist. A sculptor if you will. This means you are getting a skilled surgeon that’s a perfectionist, with an eye for detail and aesthetics, making him a perfect choice for your next cosmetic procedure. Dr. Egozi tries to understand the specific desires of each patient so during your consultation he will ask questions, explain what he feels is best for you, his methods, etc., plus answer any questions. So that he can deliver the results you are looking for in the most natural way possible. Dr. Egozi’s staff and support team, many of whom have been with him for more than a decade, are helpful, knowledgeable and as dedicated as he is, to YOU and your overall well being. That care extends from initial consultation, to pre-treatment, during and post-treatment, on every level. The Surgical Room is one of the premier surgical centers in Tampa, and beyond. It is state-of-the-art and built to his specifications. You can rest assured that Dr. Egozi and his entire staff is concerned with your overall-physical, and mental well being. Thank you for considering Dr. Egozi and Egozi Plastic Surgery Center when you are planning, or ready to move forward with your decision. Just give us a call today to schedule your consultation. 1608 Gulf to Bay Blvd. Earning his Bachelors of Science degree with Highest Honors from Emory University (1992) and Doctorate of Medicine from the Emory University School of Medicine (1996). From there, Dr. Egozi trained at the Loyola University Medical Center. There he completed a General Surgery training program and also spent one-year researching wound healing, at the Loyola University Burn and Shock Trauma Institute (1996-2002). Following, he completed a fellowship at the world-renowned Weill Cornell Medical Center/New York Presbyterian Hospital in New York City. New York Presbyterian Hospital operates the largest burn center in the US. Dr. Egozi cared for and reconstructed many patients there (2002-2003). Subsequently, Dr. Eric Egozi attended the esteemed University of Virginia Medical Center in Charlottesville, Virginia where he completed his Plastic Surgery training. While there he trained with some of the nation’s best cosmetic plastic and reconstructive surgeons. Mastering the latest techniques in cosmetic plastic surgery, Dr. Egozi also honed his judgment making and plastic surgical skills. Also, he was awarded the Raymond F. Morgan MD Award as the most outstanding Chief Resident in Plastic Surgery at the University of Virginia (2003-2005). Dr. Egozi has received two Board Certifications approved by the American Board of Medical Specialties. He has been accredited by the American Board of Surgery and the American Board of Plastic Surgery. The doctor is also an ardent member of the American Society of Plastic Surgeons as well as the American Aesthetic Society of Plastic Surgeons. Dr. Egozi was born in Atlanta, GA where he lived for 26 years. He has an interest in motorsports and helps coach his son in Basketball. Egozi EI, Faulkner BK, Lin KY. Successful Revascularization Following Near-Complete Amputation of the Tongue. Ann Plastic Surg. 2006: 56(2): 190-193. Szpaderska AM, Egozi EI, Gamelli RL, DiPietro LA. The Effect of Thrombocytopenia on Dermal Wound Healing. J Invest Derm. 2003; 120(6): 1130-7. Egozi EI, Ricketts RR: Mesenteric and Omental Cysts in Children. The American Surgeon, 1997; 63(3): 287-290. Elmer WA, Egozi EI, Pollard S, Cochran JD, Kwasigroch TE: Glycosidic Cleavage of Galactose from Chick Limb Mesenchymal Cells Inhibits in vitro Chondrogenesis. Prog Clin Biol Res, 1993; 383B: 445-454. Egozi EI, Elmer WA, Pollard S: Inhibition of Chondrogenesis in Chick Limb Mesenchyme Cultured in the Presence of ß-galactosidase is Associated with Altered cAMP Levels, American Zoologist, 1991; 31(5):82.